While teaching a class at the Connecticut Valley School of Woodworking (CVSW) last month, one of the students brought in a combination square with which I was not familiar. (Surprised?) As you can see in the photo below, what caught my attention was the slotted blade – what I considered as normal for these tools is a grooved blade. As I played with the square, I realized that the blade would not slide out of the handle, but would pivot. 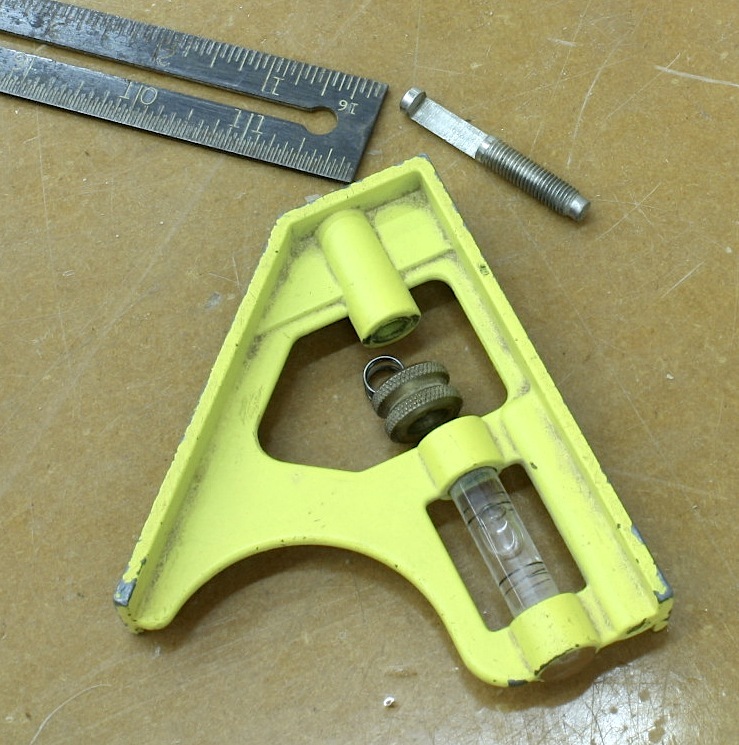 I disassembled the square to take a look at the mechanism used to hold the blade. The lock pin on this square is different from new combination squares in that it has a hook at its end instead of a nub (located about mid-shaft) that fits into a groove. The hook feeds through the round cutout at one end of the blade slot – which is also where the blade is set to pivot. As you tighten the nut, the hook slips into the cast body to hold the blade from falling free. 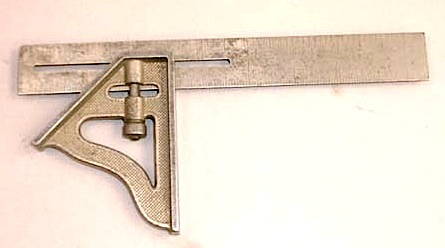 Just as with today’s combination squares, a tight nut secures the blade. I went to the Internet in search of information. I found a Stanley catalog from 1953 that showed a square similar to the one the student had at CVSW. The information lead me to believe this was a Stanley #21 combination square. (A #22 square has the grooved blade.) As I looked at the catalog page I noticed a slight variation in body design from the cataloged tool and the one I saw at CVSW. In the photo below, the square on the left is an antique #21 found at Jim Bode Tools and is now part of my tool inventory. 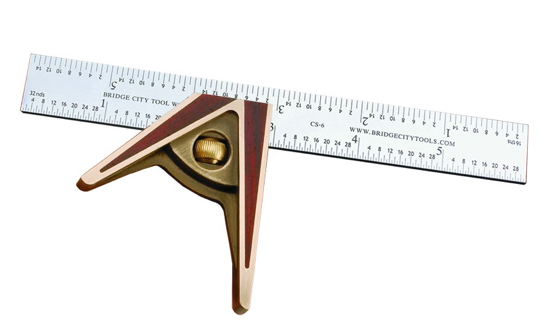 The one on the right is a new square found at stanleytools.com. To me the body of the square from class looks exactly like the body of the new square. I doubt the school square is a Frankenstein tool with a new body assembled to an older blade and lock pin, so I am left to assume the slotted blade square from class is a newer version of a #21 combination square. This is where I turn to you. If you have additional information on a Stanley #21 combination square, please use the comment section below to add to my knowledge. In my search, I also found a Stanley #21 combination square that has a 9″ blade. Below is a photo of this tool from Jon Zimmers Antique Tools.